Please note: I left SE on October 1st, 2010. Ibrahim Armac: Privacy-Friendly Smart Environments. In: Dagstuhl 2009, Proceedings des gemeinsamen Workshops der Informatik-Graduiertenkollegs und Forschungskollegs, Dagstuhl, Germany, pp: 17-18, ISBN 978-3-940019-73-8, GITO, 2009. Ibrahim Armac: Protecting the Privacy of Mobile eHome Users. In: Malte Diehl, Henrik Lipskoch, Roland Meyer, and Christian Storm (eds. ): Proceedings des gemeinsamen Workshops der Graduiertenkollegs 2008, Dagstuhl, Germany. pp. 11-12, ISBN 978-3-940019-39-4, GITO, 2008. Ibrahim Armac: Mobility and Privacy in Virtual Home Environments. In: Wilhelm Hasselbring et al. (ed. ): Trustworthy Software Systems: Proceedings of the International Research Training Groups Workshop (IRTG 2006), Dagstuhl, Germany, pp. 75-76, ISBN 3-936771-87-1, GITO, 2006. 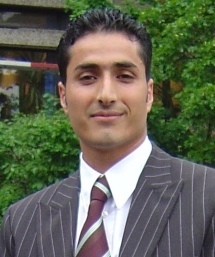 Ibrahim Armac: Prozessunterstützung in eHome-Systemen, Diploma Thesis, RWTH Aachen, 2005. Privacy-Friendly Smart Environments. Third International Conference and Exhibition on Next Generation Mobile Applications, Services and Technologies (NGMAST 2009), Cardiff, UK, October 2009. Personalisierte, mobile eHomes: Privatsphäre und Sicherheit. Invited Talk at University of Siegen, Siegen, Germany, August 2008. Protecting the Privacy of Mobile eHome Users. Workshop of German Computer Science Graduate Schools, Dagstuhl, Germany, May 2008. Client Side Personalization of Smart Environments. 1st International Workshop on Software Architectures and Mobility 2008 (SAM 2008), Leipzig, Germany, May 2008. Protecting the Privacy of Mobile eHome Users. Graduate School "Software for Mobile Communication Systems", RWTH Aachen, Germany, April 2008. Simulation of Smart Environments, International Conference on Pervasive Services 2007 (ICPS 2007), Istanbul, Turkey, July 2007. Frictionless Service Interaction in Protected Areas: Collaboration in eHomes. Ubiquitous Mobile Information and Collaboration Systems Workshop (UMICS), Trondheim, Norway, June 2007. Protecting Privacy of Mobile eHome Users. Workshop of German Computer Science Graduate Schools, Dagstuhl, Germany, June 2007. Specification, Configuration, and Deployment in eHomes. Distributed Systems and Networking Group, RMIT University, Melbourne, Australia, December 2006. Modeling eHome Systems. 4th Intl. Workshop on Middleware for Pervasive and Ad-Hoc Computing (MPAC), Melbourne, Australia, November 2006. Mobility and Privacy in Virtual Home Environments. International Research Training Groups Workshop (IRTG), Dagstuhl, Germany, November 2006. The eHomeConfigurator Tool Suite. 1st International Workshop on Pervasive Systems (PerSys 2006), Montpellier, France, October 2006. Process Support in eHome Systems: Empowering Providers to Handle a Future Mass Market. Ubiquitous Mobile Information and Collaboration Systems Workshop (UMICS), Luxembourg, May 2006. Modeling and Analysis of Functionality in eHome Systems: Dynamic Rule-Based Conflict Detection. 13th IEEE International Conference on the Engineering of Computer Based Systems (ECBS), Potsdam, Germany, March 2006. Virtual eHomes. Graduate School "Software for Mobile Communication Systems", RWTH Aachen, Germany, August 2005. Ibrahim Armac: Member of the organization committee of the 4ING conference, Aachen, Germany, July 2008. Ibrahim Armac: Member of the search committee for the "Software Engineering" chair at RWTH Aachen University, Aachen, Germany, 2008. Ibrahim Armac: Member of the Computer Science Faculty Council at RWTH Aachen University, Aachen, Germay, 2006-2008. Ibrahim Armac: Organizer of the Computer Science soccer tournaments 2007, 2008, and 2009, at RWTH Aachen University, Aachen, Germany. Ibrahim Armac: Protecting the Privacy of Mobile eHome Users, Prototype demonstration at the Workshop of German Computer Science Graduate Schools, Dagstuhl, Germany, May 2008. Ibrahim Armac: Simulation of Smart Environments, Prototype demonstration at ICPS 2007, Istanbul, Turkey, July 2007. Ibrahim Armac: The eHomeSimulator, Prototype demonstration at UMICS 2007, Trondheim, Norway, June 2007. Ibrahim Armac: Member of the organizing and program committee of the 1st International Workshop on Mobile Services and Personalized Environments 2006, Aachen, Germany, November 2006. Ibrahim Armac, Daniel Retkowitz: The eHome Prototype, Prototype demonstration, Girls' Day, Aachen, Germany, April 2006. Ulrich Norbisrath, Ibrahim Armac, Daniel Retkowitz: eHome Specification, Configuration, and Deployment, Prototype demonstration and poster presentation, Tag der Informatik, December 2005, Aachen, Germany.